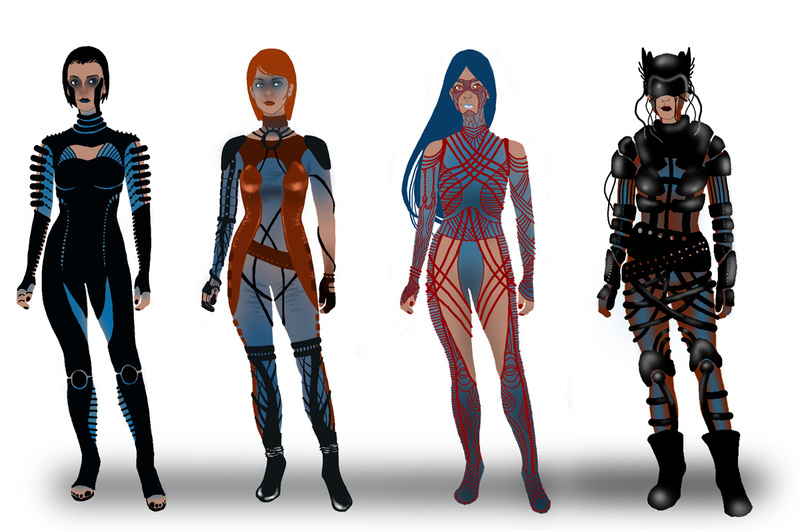 Orriiiiite - been inspired to do some character stuff, so I thought I'd do a little series of sci-fi clothing designs. I wanted her to look feminine yet not too skimpy (tho one of them might be ;p) These were very quick to do, just flat colour and tiny bit of shading, if any..Would be nice to maybe do a more rendered version. Incidentally, my fave is the first one! Don't be alarmed, it's the Armour Llama!